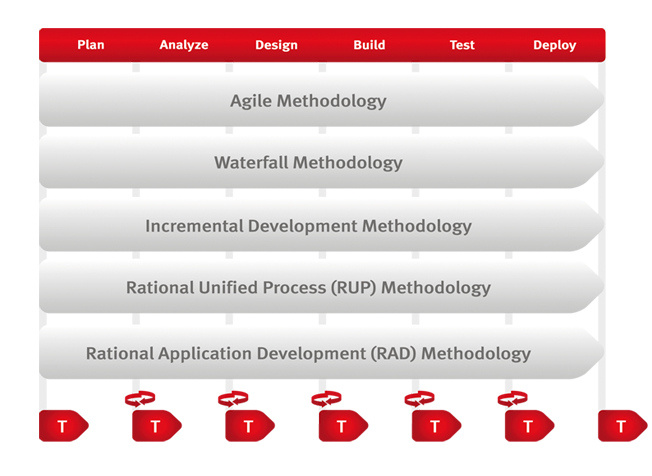 Selecting a software development methodology is challenging for many IT projects. What tends to make it challenging is thats few companies know what criteria to use when seleting a methodology that will add value to the project. Coupled with this, organisations anr under increased pressure to evaluate development initiatives from a return on investment perspective, and a failure in implementing the correct software methodology can potentially have dire consequences for the companies overall business strategy. In delivering quality IT solutions and successful projects. It is about consistency and requires more than just expertise. At Tacit Intellect we have the knowledge of how tasks are performed in software development environments which are crucial to the success of projects. We understand that businesses are becoming more and more dependant on timely delivery of systems and the solutions ability to reliably sustain the business operations and firm’s ability to provide a solution that provides support for changing demands. Before we consider the criteria for selecting a given software methodology, companies need to understand the various methodologies availiable to them. We are able to advise companies on the best software methodologies to implement by providing a step by step approach, we are also able to implement the methodology if you require us to do so.